Whilst walking in our favourite place (woods with a river running through) my wife (Sue) and I witnessed another interesting incident. In a clearing, just ahead of us (some 40 yards away) a lady was just starting her walk with a spaniel on an extending lead — she was approached by a lively labrador (off lead — later, I realised I knew this friendly beast). Her response was to panic and scream at the labrador and it’s owner (I couldn’t here but, it was obvious the man was joking with the lady, she was getting progressively more excited and, so was here dog (now yelping) — the Labrador was getting more excited by this response. I kept a fairly close eye on this, ready to step in if I thought it neccesary. The lab went one way with the owner, the lady the other way (she, clearly was not happy). We sat at our usual bench for a drop of water for Ziggy (our mutt) and the lady approached with her dog, still on the extending lead; clearly still upset by the incident. I chatted with her and calmed her down. Her dog was a 9 month old springer (a bit nervy — worsened by the lady continuing to console the dog). Her perception of what had just happened — an uncontrollable, agressive dog had attacked her dog (he stalked her) and, the owner just laughed and said ‘get your dog of the lead’. I explained, becasue I had observed the dog’s approach from start to finish, that the ‘stalking’ she thought she saw was, in fact, the dog going into a classical play pose, inviting the pup to play. 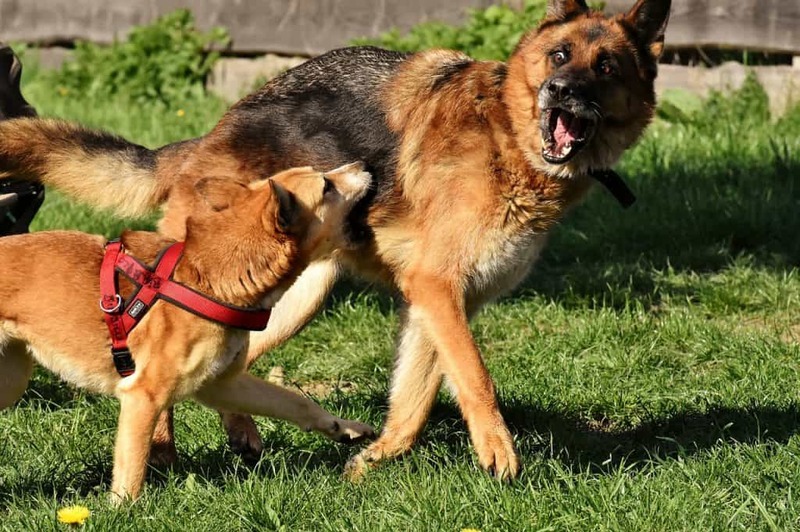 By reacted in such an extreme manner, the problem escalated quickly — her pup became frightened, the other dog became over excited and so forth. We got her dog of the lead and, walked it with Ziggy, with no problems, meeting a few other dogs on the way, again with no problems. We found ourself at Ziggy’s favourite swimming area — I went in the water with her while Sue chatted with the lady (now much calmer and receptive) — lo and behold, the aggressive dog appeared, splashed into the water with Ziggy, me and a couple of other dogs, playing happily together. The lady expressed her amazement at this — Sue called the dog owner across and explained how a woman feels, when alone and approached by a man and a lively dog, he thought a little and then got it (he had thought the lady was just a silly woman). The lady, eventually left saying, I am much happier and will continue on my normal walk (she had been planning on just going home). Finally, all you owners of dogs out there — stop, think about how you and your dog can be perceived and, communicate with each other.